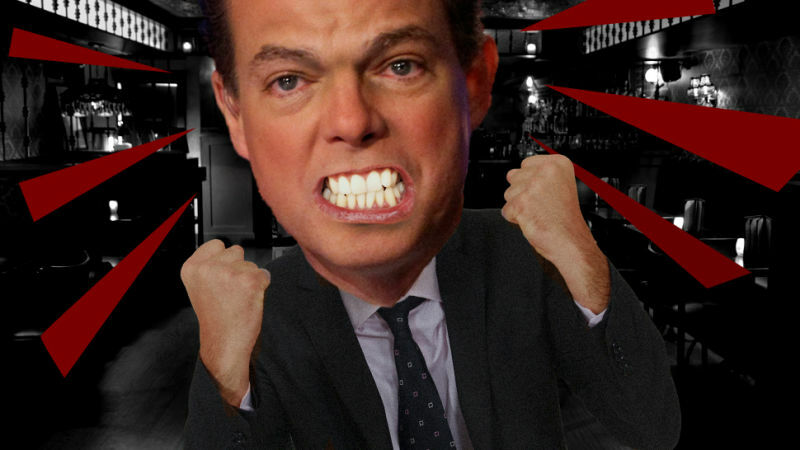 Shepard Smith, the new director of Fox News’ breaking news operation, is by far the channel’s most lovable anchor—a cuddly-if-irascible antidote to his demagoguing colleagues. Like most people on television, however, he’s a lot less nice in person. Especially to waitresses. One night last March, at a Chelsea speakeasy called Bathtub Gin, Smith and a group of friends were downing cocktails when the 49-year-old anchor, his drink half empty, noticed their waitress attending another table. He wanted the next round now. “There was no reason for you to scream at me,” Minskova told Smith. Minskova tried explaining that the bartender was still mixing the second round, but Smith, visibly angry, told her to cancel it and asked for the check, a duty she passed to another waitress before telling the speakeasy’s manager what had happened. Smith and his entourage left without leaving a tip, and without apologizing. Minskova wound up quitting a few months later. It wouldn’t be Smith’s first public demonstration of rage. In 2000, while covering the Florida recount, he was arrested by Tallahassee police for “aggravated battery” against a female reporter, after he reportedly slammed his car into her standing body. (Here is his mugshot.) The charge was dismissed after Smith and his victim agreed to an out-of-court settlement. Neither Shepard Smith nor Fox News Channel responded to emails, a voicemail, and a faxed letter requesting comment. The owner of Bathtub Gin did not respond to requests for comment, either.